Powell Security Services offers a comprehensive maintenance service to keep your security equipment operating in peak condition. A detailed report on the status of your security system will be completed for you. 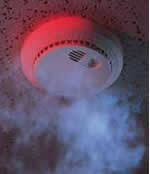 Smoke detectors can be installed and integrated with your security system. If your alarm system is monitored, you will have a guaranteed and timely response to a fire. The backup battery will be automatically tested weekly by the alarm panel negating the need for annual physical checks. Powell Security Services is at the cutting edge of digital video technology. Systems are designed to client specifications and are site specific. Cameras can be integrated with security systems to record at a higher rate on alarm events, or to pan live to a triggered zone. Cameras may also be viewed and footage downloaded from remote locations via the internet. 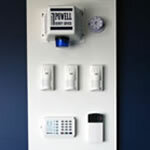 Powell Security Services installs intercom systems for residential and commercial applications. Powell Security can interface intercom with existing access control systems, or fully install access control as required. 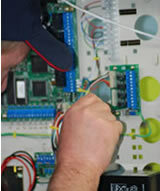 Powell Security Services installs intruder alarm systems to Australian Standard 2202.1. Systems are fully tested and designed for ease of use. Access control systems give better control of access to a building or to designated zones within the building. An audit trail of who has entered and exited will be available should an incident occur. Powell Security Services uses A1 accredited monitoring centres to care for our customers. ASIAL accredited centres give you peace of mind.